Greece had a dilemma. It was a problem of such implausible complexity, that we couldn’t help but simplify it to two simple options. Indeed, we might even want to hide our ignorance of the consequences of the alternatives by using a bit of local colour: why not say “Greece had to navigate between a Scylla and Charybdis?” The monster of the leaving the Eurozone, and the whirlpool of staying within: somehow, Greek leaders had to work with European partners to come up with a solution to its unsustainable debt situation. Should the referendum have divided the country, we could say that the nation was warily trying to steer clear of both alternatives, and perhaps some new negotiating points would have emerged. Instead, Greek voters decisively rejected the terms of a bailout deal offered by international creditors yesterday. They’ve made their decision, and since referenda are seen as direct and popular forms of democracy, there’s little anyone can do to contradict the referendum; the terms have to be accepted and negotiation has to start from the basis that Greek voters demand an end to austerity. Part of the problem is the “evil” nature of the alternatives. The problem was not simple; indeed, when it comes to economics, it rarely is. It’s not simply a case of this currency or that currency; the complexities of economics at this level go beyond most people’s understanding, and it’s hard to see how the simplification of the problem in the referendum could have taken place in the beginning. Joseph Stiglitz described his view before the vote, equating Greece’s economic problems with problems of self-determination; the political consequences are easier to imagine. 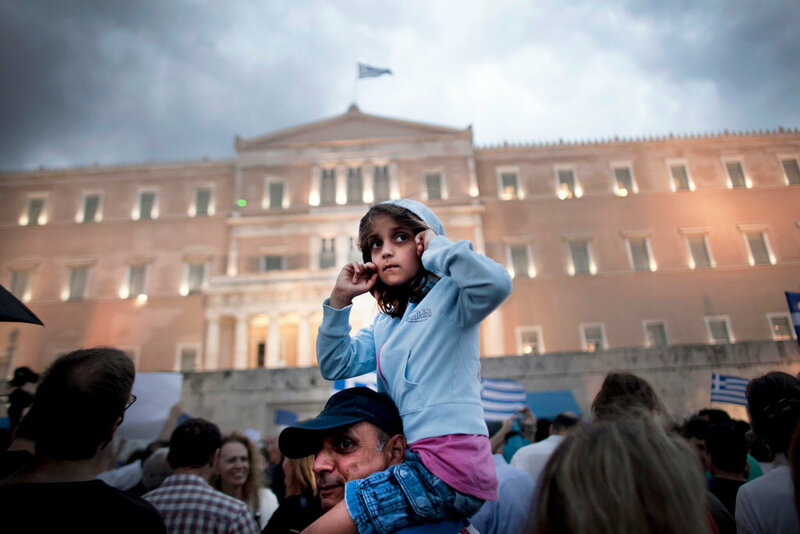 If there is a continued deadlock, the likelihood of a Greek exit from the Eurozone increases. And as Stiglitz and other commentators have said, that’s maybe not the worst thing. Indeed, it would be a catastrophe for established political leaders like Angela Merkel, but it would challenge the enormous democratic deficit between elite European decision makers and citizens. And it’s not as though the unclear consequences stop at Greek borders. The point is that Europe and the Eurozone will all feel the effects of the referendum, and now there’s simply no way the old policy of „bleed money out of the Greeks“ will now work. There’s no clear path out of these problems, as yet. Greek citizens have demonstrated their desire for change, and to shift the unsustainable austerity policies that have dogged their lives for so many years. The crisis has made life for Greek citizens not only currently unmanageable, it has made the future of life in Greece deeply uncertain. Alexis Tspiras called the consequences of austerity a “humanitarian crisis”. With hope, whatever happens now, leaders will begin to mitigate the effects of austerity to make peoples’ lives easier. That being said, they’ve sailed extremely close to Scylla – and she might just be as bad as the stories say.